That means it’s time to remind you to take adequate precautions to prevent transmission of the dangerous viruses these pests can carry. For several years, West Nile virus dominated the headlines with several documented cases in Brazos County. In the last couple of the years, Zika has emerged as another threat. The City of College Station’s Mosquito Abatement Program provides free mosquito dunks while supplies last. Please contact me at 979.764.6262 or bmoore@cstx.gov to check on availability. Barbara Moore is in her ninth year as the city’s neighborhood services coordinator. She previously served as executive director of Family Outreach of Bryan/College Station and was director of faith-based relations for the Dallas Area Habitat for Humanity. Barbara is a 1992 graduate of Jackson State and earned her master’s degree in public administration from the University of Washington in 1996. In the next few days, the City of College Station will be fogging areas where mosquitoes tested positive last week for the West Nile virus. 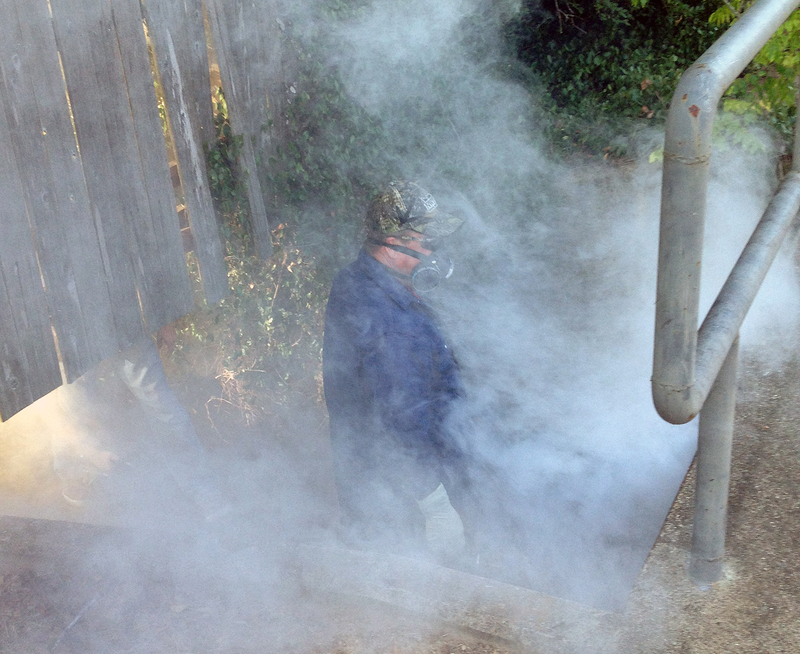 Targeted fogging operations will continue through mosquito season if additional positive tests occur. The best defense against mosquitoes are mosquito dunks, which are available for purchase through the city’s Mosquito Abatement Program. The non-toxic dunks are specially designed to kill mosquito larvae before they hatch. When used consistently in standing water where mosquitoes are likely to breed, dunks are an effective way to control and reduce mosquito populations around your home. Those are wise steps to take, but there’s evidence an additional step heightens your protection even further.